Decorating your home for the holidays is one of the greatest joys of the season. It’s important to make sure that you’re celebrating safely. We’ve provided some electrical safety tips below to keep you and your family safe this holiday season. Inspect lights before you plug them in. Check each set of lights for broken or cracked sockets, loose connections, and bare or frayed wires. Discard any damaged cords. 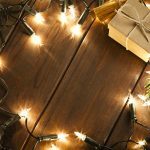 Always purchase UL-listed equipment including lights, electrical decorations, and extensions cords. Make sure outside decorations and lighting are rated for outdoor use. Putting indoor-only rated products outside can result in electric shock and fire hazards. Always unplug your lights before replacing fuses or changing bulbs. Keep an eye on young children because lights or decorations contain pieces that are small enough to swallow. Unplug while you’re away. Always unplug your tree lights and outdoor lighting before leaving the house or going to bed. Make sure your artificial tree has a “flame resistant” label. Use LED lights. They are long-lasting and aren’t hot to the touch. Don’t overload extension cords or outlets. Keep cords away from water and metal objects. Hook up outdoor lights safely using a 3-prong grounded extension cord with the UL label. Be careful where you place your cords. Never place cords where they can become pinched or worn (such as under rugs, doors, or through windows). 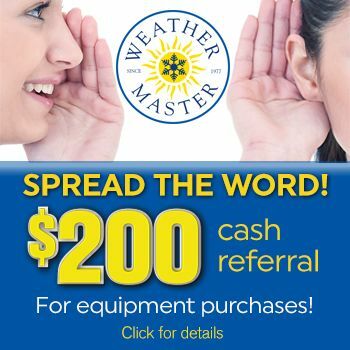 Weather Master wishes you and your family a safe and happy holiday season. If you have an electrical issue, our expert electricians are only a phone call or click away!